No matter what it is you like to do, eat, or drink, you can in Chiang Mai. 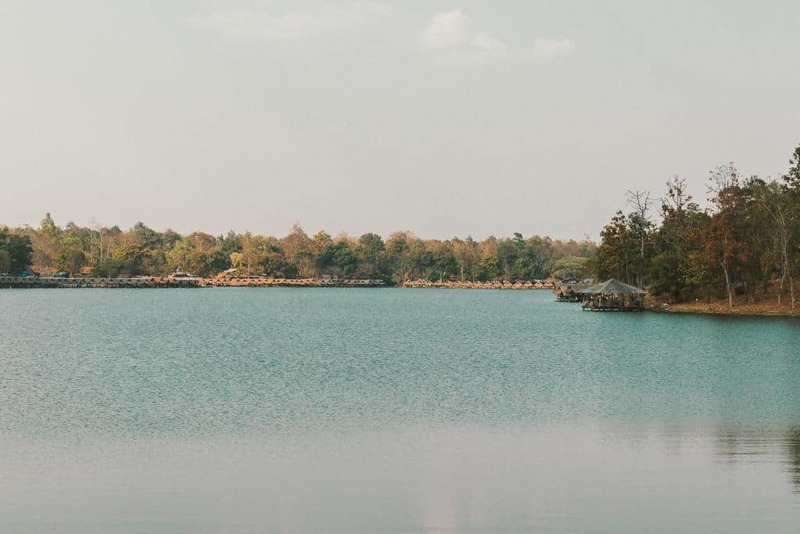 This Northern Thai city has everything traveler’s need to get that adrenaline fix, tickle their taste buds, or enjoy the slow life. Whatever it is you enjoy doing, Chiang Mai has got you covered. Here, a complete backpacker’s guide to this incredible city. There are plenty of ways to prepare for your trip to the Land of Smiles. 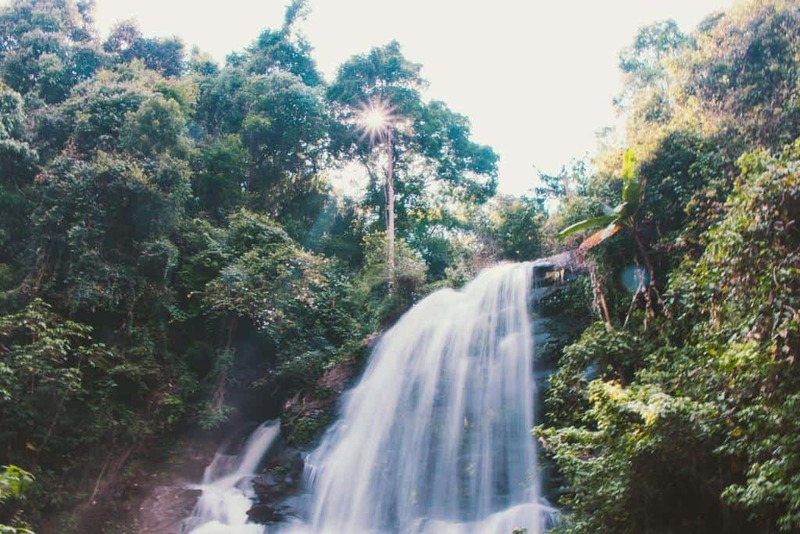 From knowing when to visit to what vaccinations to get, we have you covered on all things you need to know before visiting Thailand and, specifically, Chiang Mai. 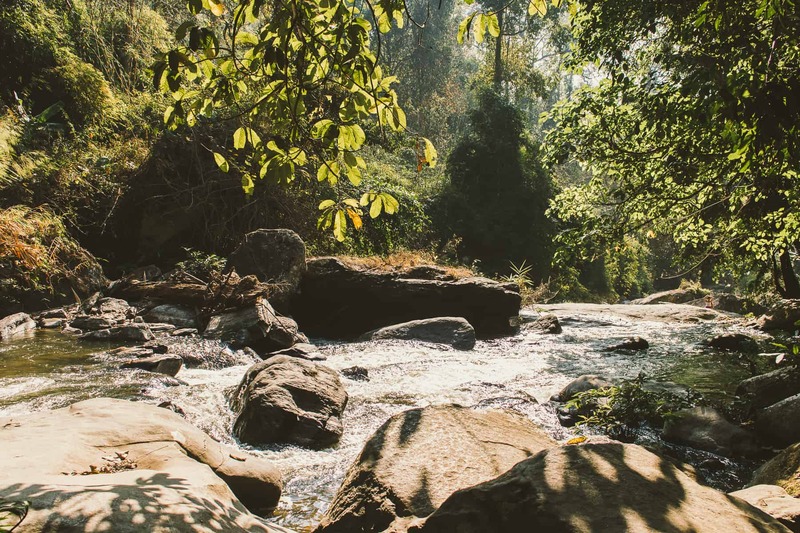 If you are a fan of sunny afternoons and breezy evenings, then the best time to visit Chiang Mai is during the dry season. This takes places from November to February. 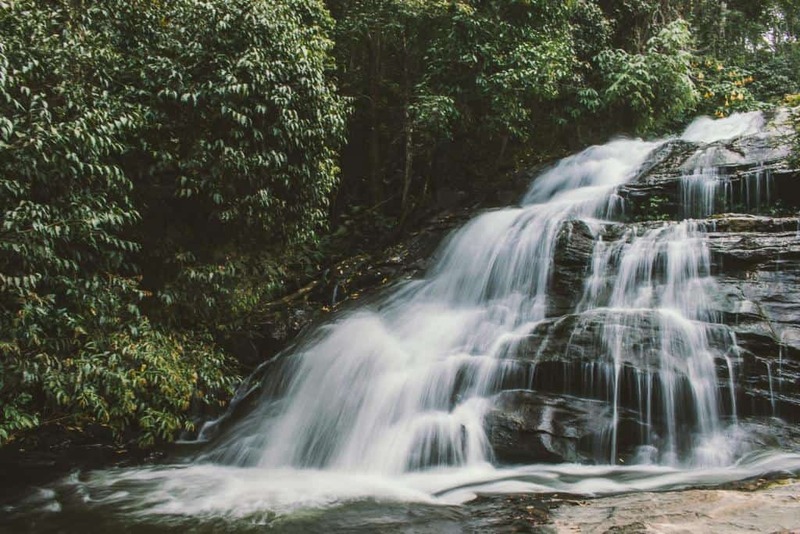 Otherwise, the city tends to get hot (as does the rest of the country), but if you can take advantage of its mountainous climate and not be constantly dripping beads of sweat during your trip, we suggest you do so. Let us quickly contradict ourselves, however, and let you know that Chiang Mai is one of the best cities to visit for Songkran. 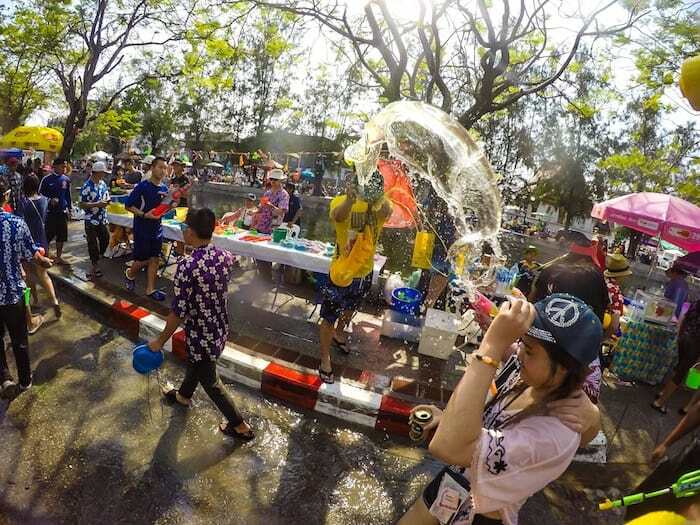 This festival is essentially a giant water fight amongst both tourists and locals alike. Visitors who make their way to the city on April 13-15 (though the celebrations begin prior and end later) will not be disappointed. Be wary that pollution levels can get high in April and March, as this is also when burning season takes places. 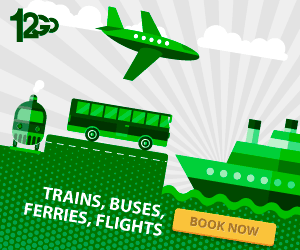 Check the pollution levels prior to visiting to ensure that you have a safe trip! There are four major airlines that fly to Chiang Mai from Bangkok: Air Asia, Thai Airways, Bangkok Airways, and Nok Air. Flights leave daily and arrive at the Chiang Mai International Airport. There will be tuk-tuks and taxi drivers at the ready to take you to your accommodation option after picking up your luggage. You can also take an overnight train to get there. These are normally cheaper options. The overnight train is an experience in itself. If you have the time to do so, we highly recommend one of these incredible journeys while traveling the Land of Smiles. The overnight buses are cheap … not a bucket list item to cross off unless you enjoy a bad’s night sleep! The choice is yours. Getting around the city of Chiang Mai is shockingly easy. For one, most of the top temples in the Old City can be reached on foot. There are also plenty of shops renting out bicycles for as little as ฿50 (about $1.50) a day, making it easy to get from point A to point B in ease: and being environmentally-friendly while doing so! You can also hop in the back of a songthaew (meaning two benches) and explore the city for only ฿30. 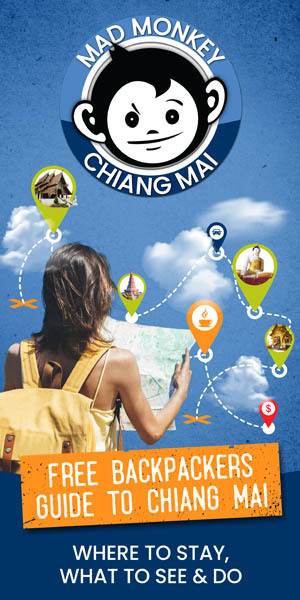 For more information, check out our complete guide to getting around Chiang Mai! 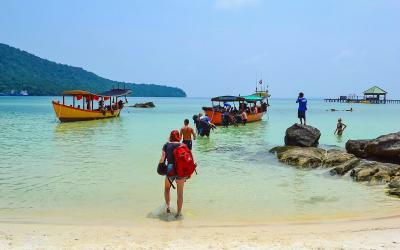 There are a number of vaccinations that the CDC recommends visitors to Thailand get before making their way to the country. As with any country, you should be up-to-date on all routine vaccinations. Other recommended vaccinations for Thailand by the CDC can be found below. Becoming fluent before your trip would be impossible. 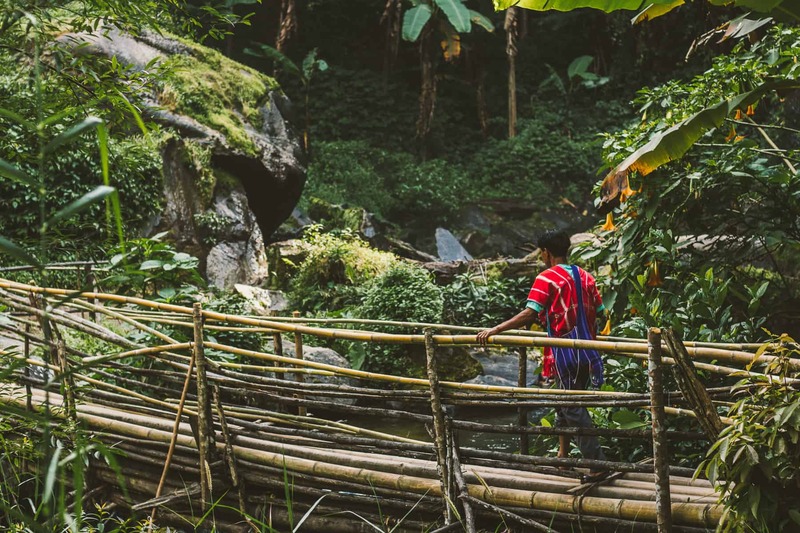 Instead, memorize a few helpful phrases to help you connect with the locals and make your trip the most memorable it can be. Here are 10 helpful of the most commonly used phrases. For an even more comprehensive list of Thai phrases, check out our guide to speaking Thai! I cannot eat spicy. Gin pet măi dâi. This is very delicious. Aroi mak! How much is this? A nee tâo rài? I do not understand. Mâi kâo jai. Mad Monkey Insider Tip: at the end of every sentence, men add the word kráp and women add the word kâ. It is a sign of respect in Thailand. Chiang Mai accommodation is both incredibly cheap and comfortable. You can stay in an air-conditioned dormitory room for only a few bucks a night, with a great social atmosphere to boot. Whether you are looking for a party or simply a comfortable bed to nurse off a hangover in, Chiang Mai has plenty of accommodation options. 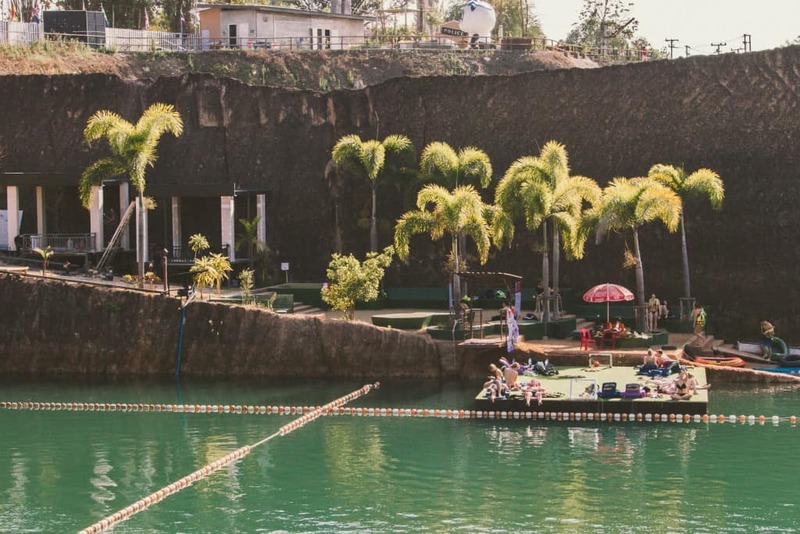 Whether you are traveling solo and looking to meet some like-minded backpackers or simply love tequila, there are plenty of party hostels in Chiang Mai to go around. Slumber Party and Sunday Backpackers both organize pub crawls, allowing you to meet and greet while you drink! Mad Monkey Hostel Chiang Mai will open in July 2018 and is more than ready to party, so be sure to check us out if you are in town! For more information about where to sleep (and party) in Chiang Mai, check out our complete list. We understand that splurging on a hotel might not be the most efficient of ways to spend your baht while traveling the Kingdom. With so many hostels to choose from, why waste money on a private room and instead book at these social accommodation options instead? 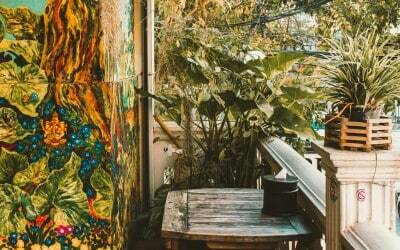 Chiang Mai has some of the best hostels found around the country. Fun Wahn is great for travelers in need of some peace and quiet. Hug Hostel has a lounge room equipped with Netflix. 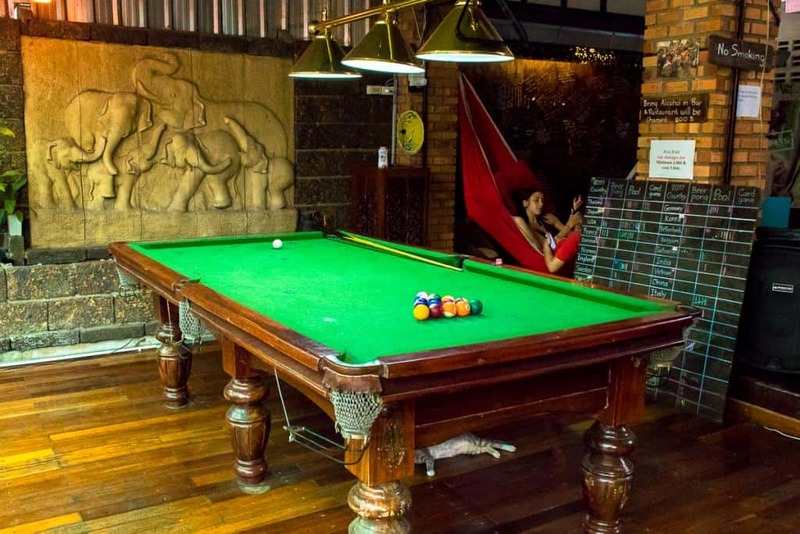 Mad Monkey Hostel Chiang Mai will be the perfect spot for those travelers who love a refreshing pool. The list goes on and on! 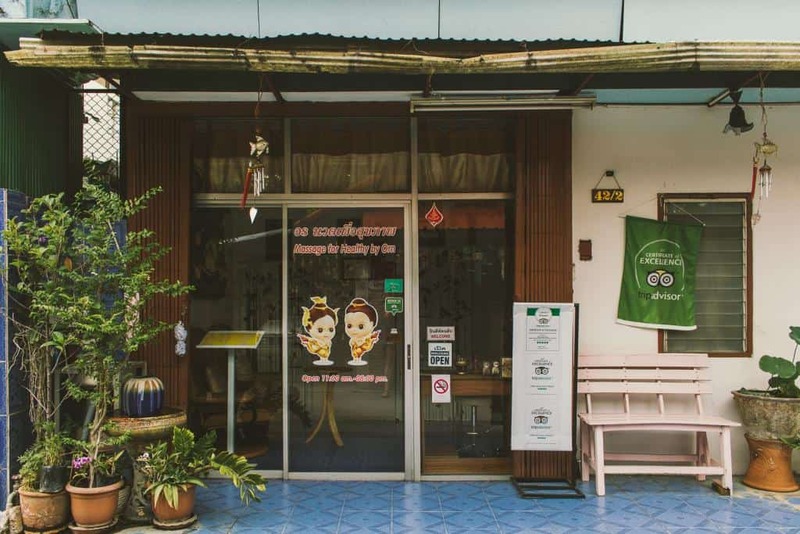 For even more helpful information, check out our round-up of the best hostels in Chiang Mai. There are one too many things to choose from when deciding on which attractions you should frequent in Chiang Mai! Check out the top things to see and do according to us, from getting a massage to swimming at the (other) Grand Canyon! From getting a massage by an ex-inmate to visiting an abandoned Chinese cemetery, Chiang Mai is teeming with interesting things to see and do. Not all travelers get the chance to got off the beaten path while traveling, especially in a popular city such as Chiang Mai. With that being said, we at Mad Monkey have rounded up 14 incredibly unique things to see and do in this incredible city for you to check out! If you are needing a break from the city, there is no better place to cool off than at the Grand Canyon. No, we are not suggesting that you book a red-eye to Arizona. Instead, head to the (other) Grand Canyon, situated about a 40-minute drive from the city center. The Grand Canyon is equipped with a zip line, a green area dedicated to sunbathing, aesthetically pleasing foliage, a restaurant, and more. For more information about the Grand Canyon in Chiang Mai, including entrance fees and how to get there, check out our complete guide. In this day and age, most travelers know that it is unethical to ride elephants. Do not throw away that fantasy of getting up close and personal with the country’s national animal just yet, however. There are still a handful of sanctuaries that allow visitors to interact with these animals in a humane way, and one such place is Elephant Nature Park in Chiang Mai. This rehabilitation center is but 60 kilometers from the city center and offers half and full-day visits as well as overnight stays. It is home to over 70 rescued elephants as well as a number of dogs, cats, and other abandoned animals. The angel behind this operation is Lek. She not only rescues these animals but has also employs locals to help stimulate the economy. A visit to this park will give you that elephant fix you needed without exploiting them to do so: it’s a win-win for everyone! 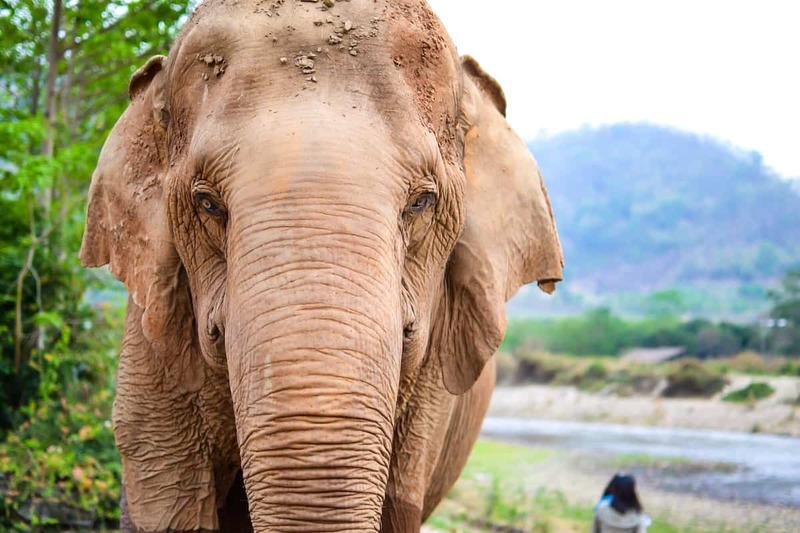 To find out more information about this park and the cost of visiting, check out our guide to volunteering at Elephant Nature Park. If there is one thing you cannot miss out on while visiting Thailand, it’s getting a Thai massage. Chiang Mai is one of the cheapest places in which to get one of these hands-on healing treatments, and there are plenty of salons to go around. Support a social enterprise while getting one of the best massages you have ever had at Lila Thai Massage or Perception Blind Massage. Fix every kink (even ones you did not know you had) at Orn Healing Hands. For more information about incredible spas and parlors, check out our complete guide on where to get the best Thai massages in the city. This city is crawling with gyms to get your sweat on in. Stretch it out at one of the top yoga studios, like Freedom Yoga Chiang Mai. 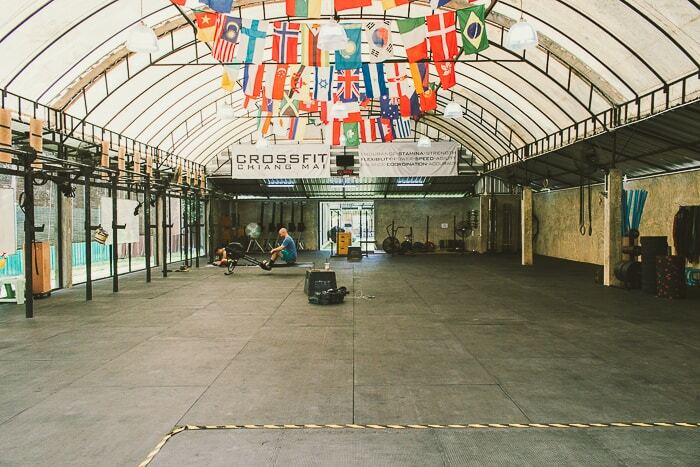 Jump up onto boxes as tall as you are at CrossFit Chiang Mai. Learn about the national sport of Muay Thai at Chiang Mai Muay Thai Gym or Sky Kick Muay Thai Training. Get a free workout in at Muang Chiang Mai Stadium or the makeshift gym that sits just adjacent to it. The options are endless! If you want to know more about where to get your workout on in the city, check out our fitness lover’s guide to Chiang Mai. Are you feeling flexible? Then maybe you should check out one of the incredible yoga studios found sprinkled throughout the city. Whether you want to get in a good workout or find your zen, the yoga studios in this Northern Thai city have got you covered. 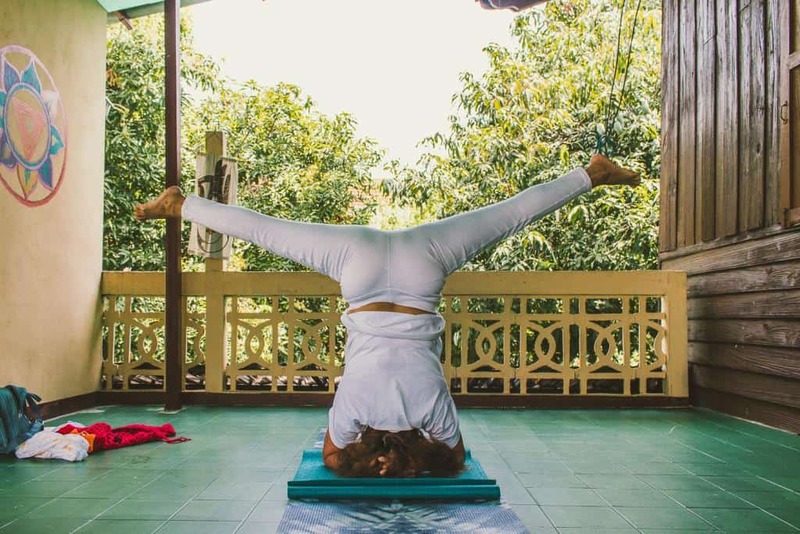 One Nimman offers free yoga classes with incredible teachers to boot. Bodhi Tree Cafe doubles as a yoga studio. At the end of each sweaty session, participants are given a glass of freshly-squeezed juice as a reward. To find out more information about where to do yoga in Chiang Mai, check out our article on the top studios! 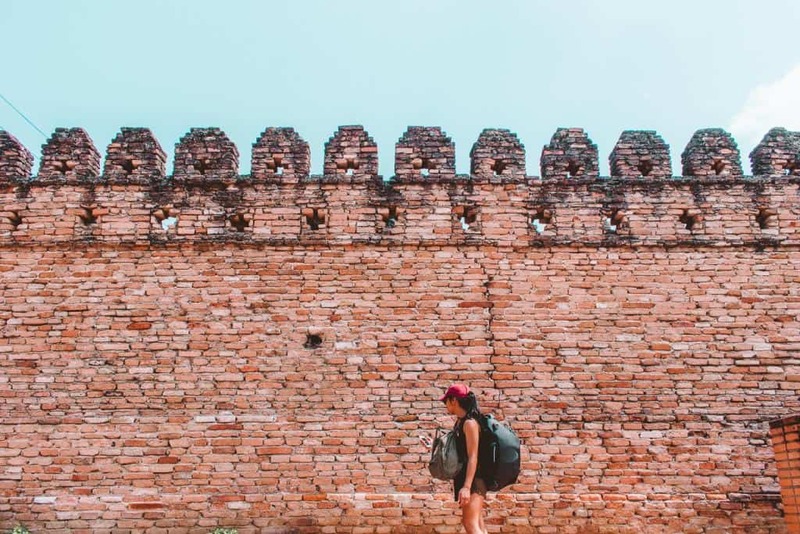 While some visitors may never want to leave the crumbling walls of the Old City, there are plenty of things to see and do outside of Chiang Mai’s center. 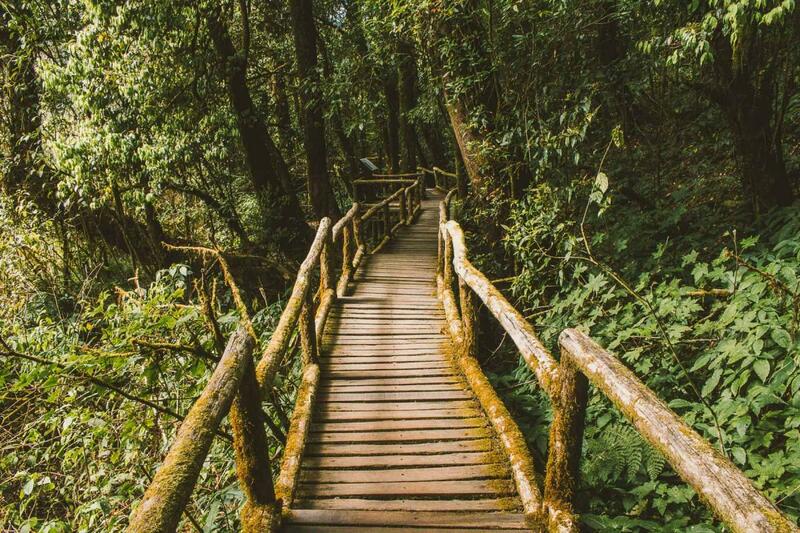 A visit to Doi Inthanon National Park is an incredible way to spend a day outside of the city. It is here you will see plenty of waterfalls, stunning landscapes, and beautiful pagodas dedicated to the previous king and queen. If national parks are not your style, instead head to Huay Tung Tao Lake. This large body of water is hardly visited by foreigners and is a sight for sore eyes after spending one too many days in the city. For more ideas on what day trips to take while staying in Chiang Mai, be sure to check out our complete guide. 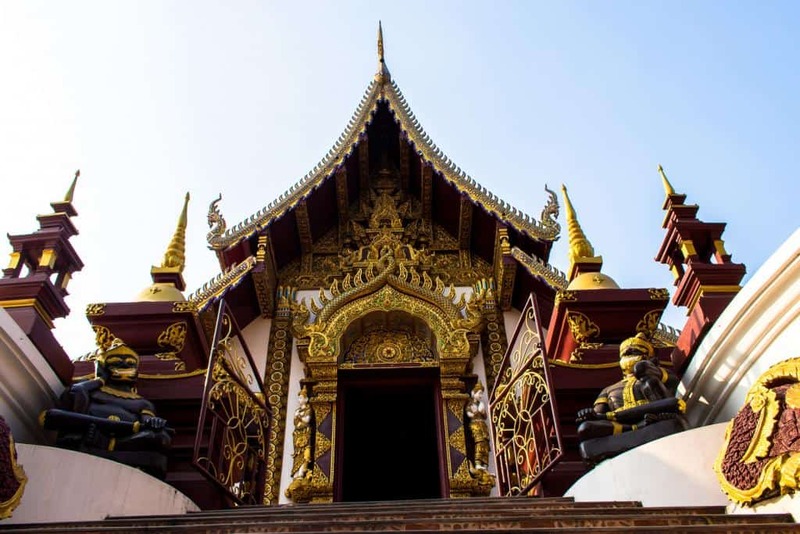 Chiang Mai is home to hundreds of temples. Many are located in Old City and are within walking distance of one another. Others, like the renowned Doi Suthep, are but a 30-minute songthaew or motorbike ride away from the city center. Some temples are equipped with incredible Lanna-inspired architecture while others are home to massage parlors. Whatever it is you fancy, the temples in Chiang Mai are sure to please. 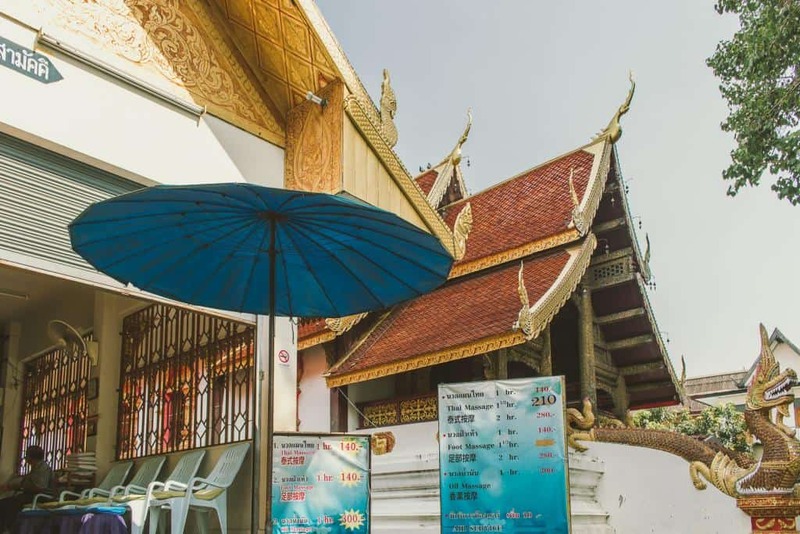 For even more information about when these temples were built to entrance fees, check out the top temples in Chiang Mai you should visit. If you only have 48 hours in the city of Chiang Mai, you best be filling every minute with cool things to see and do (and eat). 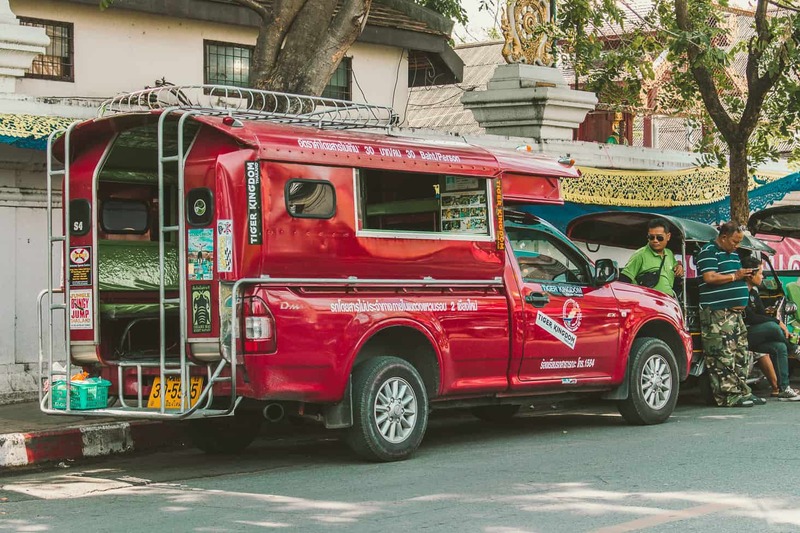 Waste no time planning thanks to Mad Monkey, as we break down the top restaurants, nightlife, and attractions that you should squeeze into such a short time frame in our 48-hour itinerary to Chiang Mai! Traveling alone in a city completely foreign to your hometown can be intimidating. Where do you eat? Which accommodation option is best for meeting people? 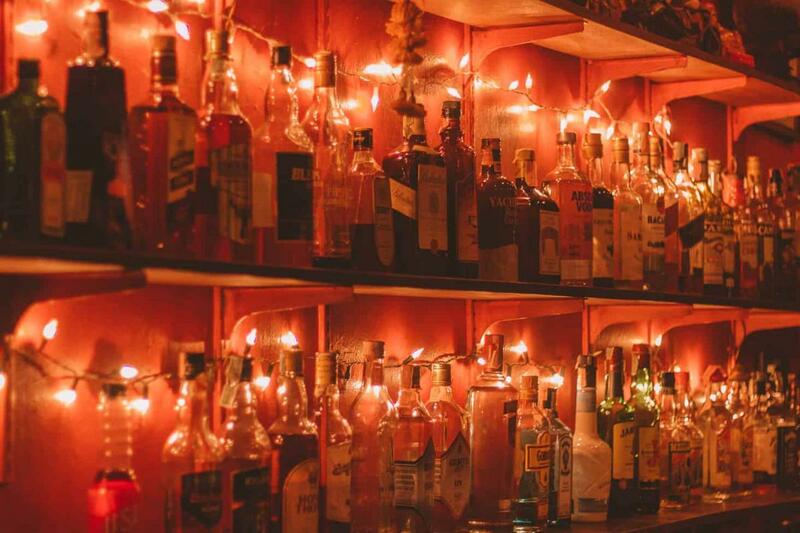 What bars and nightlife venues are conducive to making conversation? These are all questions you are going to be asking yourself before venturing to the city of Chiang Mai alone, and luckily for you, Mad Monkey has got you covered. 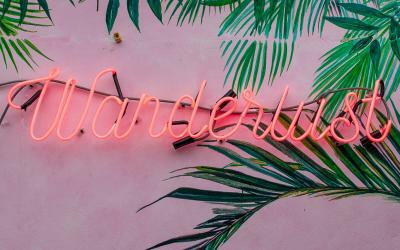 We have rounded up the top hostels, activities, restaurants, and more that are perfect for those of you who enjoy solo travel. 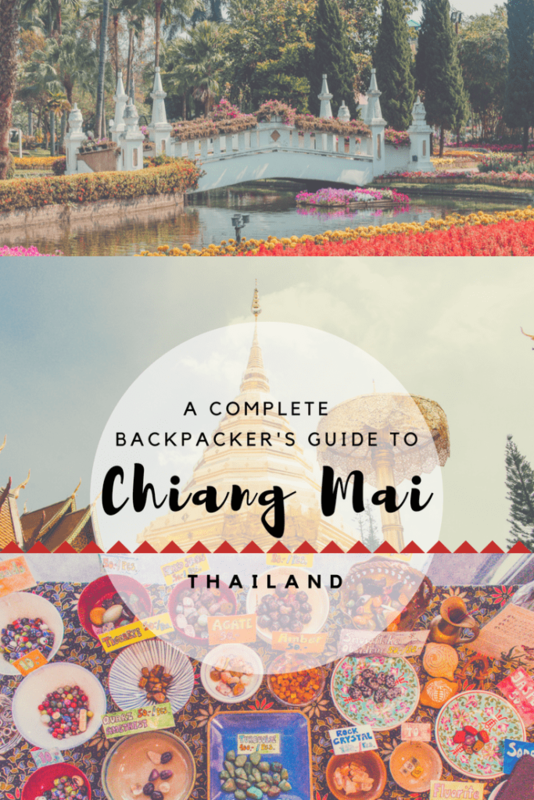 For more information on how to rock this city independently, check out our solo traveler’s guide to Chiang Mai. Thailand is a watering hole for digital nomads. Young people from around the world are leaving their desk jobs and taking to their computer in hopes of making a baht or two. 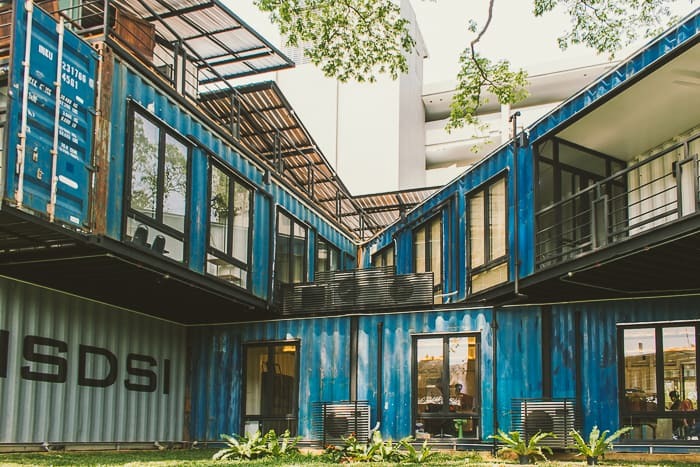 Luckily for them, Chiang Mai is teeming with coworking spaces, including simple, homely spaces to modern and large venues. Punspace, Addicted to Work, Wake Up: there are plenty of coworking spaces to go around. 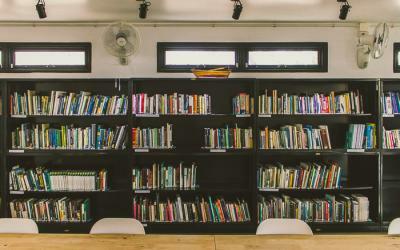 For information about pricing, hours, and more, check out our complete guide to the best coworking spaces in Chiang Mai! Chiang Mai is well-known amongst traveling foodies as one of the best places in the country to go and treat oneself three times a day or more. From bomb brunch venues to vegan-friendly restaurants, one could spend their entire trip eating and drinking their way through Chiang Mai. Below is a list of the best restaurants, where to get the tastiest of desserts, where to drink, and more. Cheers! 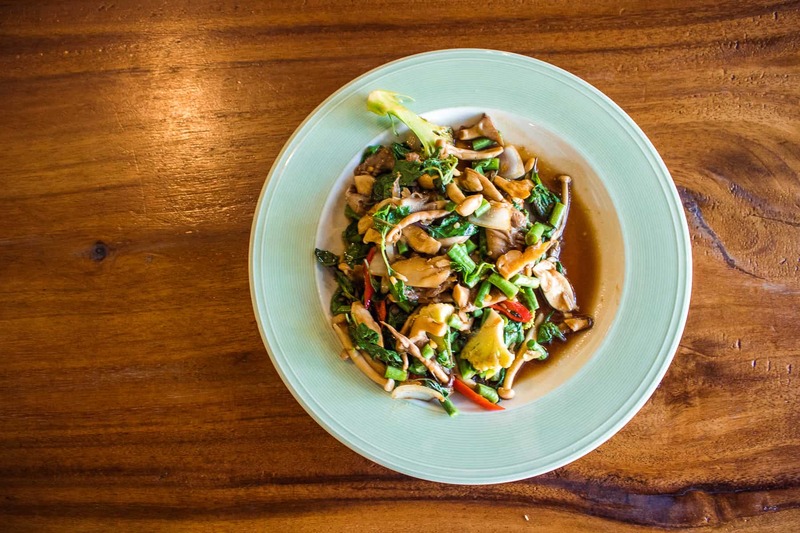 Chiang Mai is a watering hole of delicious dining venues. Sure, the street food is the bomb, but with restaurants serving up delicious mains and for affordable prices, it is simply a no-brainer to try out some of the best eateries in town. There is also a wide array of cuisine found here, as well, with everything from Mexican to French food on menus in venues around town. For more information about the best restaurants, prices of each one, and where they are located, check out our complete dining guide to Chiang Mai. There is no better way to kick-start a day of exploration in Chiang Mai than by having a cup of coffee. Luckily for caffeine fiends in the city, there are plenty of cool cafes and coffee shops to go around. Head to Birds Nest Cafe to try their ฿60 (about $1.90) freshly brewed coffee in a French press container that separates Thai herbs from your brew. 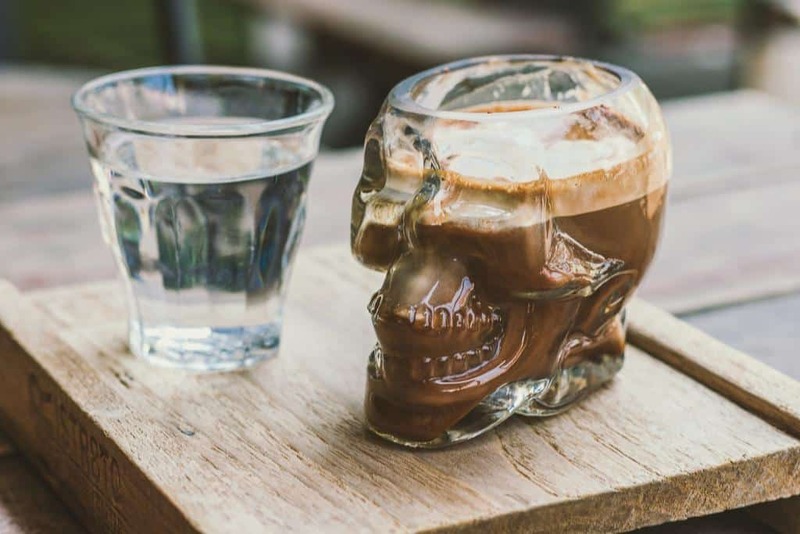 Head to Doppio Ristr8to in Nimman if you want to sip out of a skull-shaped mug. For the complete list of our favorite coffee shops in Chiang Mai and why, then check out our guide for lovers of coffee culture in the city. Are you ballin’ on a budget? No problem! The city of Chiang Mai is home to an abundance of restaurants that are both delicious and budget-friendly. Some are tailored for vegetarians while others serve up the tastiest of meat dishes you can really sink your teeth into. For more information about the tastiest (and cheapest) restaurants in the city, be sure to read our entire article on budget-friendly restaurants in Chiang Mai. 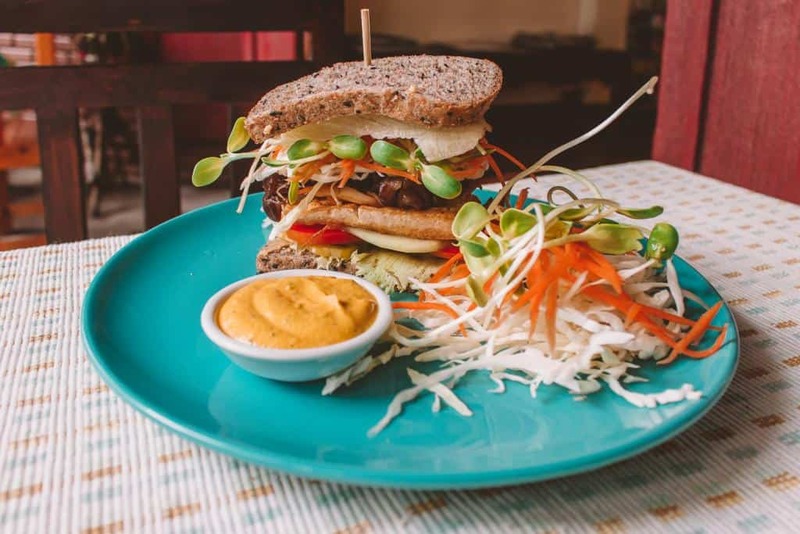 The vegan scene is certainly a thriving one in Chiang Mai. Many vegetarian and animal product-free travelers beeline (honey joke there for all you vegans) to this city as soon as they step foot in the Kingdom. 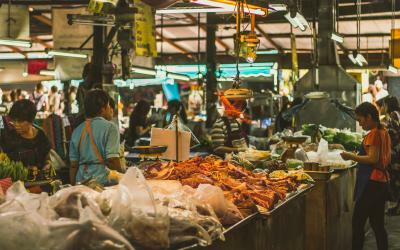 With so many restaurants and even street food stalls proudly repping the gin jay (vegan) yellow and red flag, it only makes sense that travelers to Thailand abiding by a meat-free diet add this city to their itinerary. Goodfellas is the perfect venue for those vegan travelers looking for a tasty dessert. 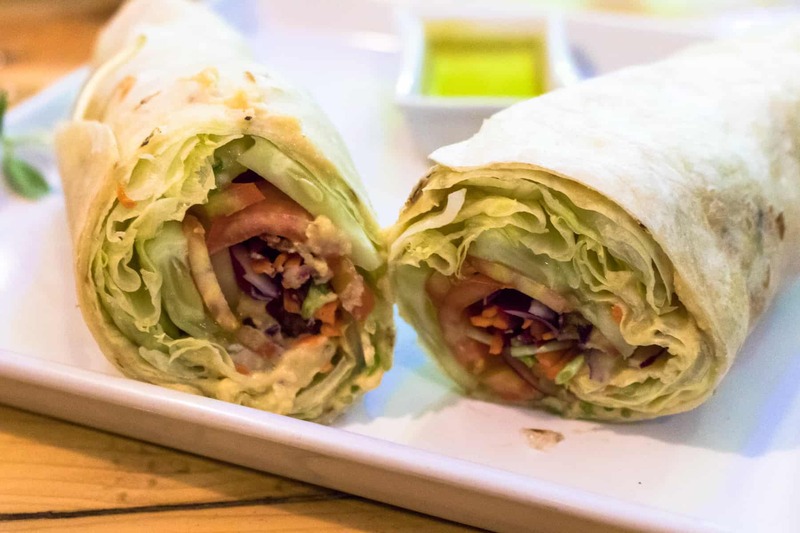 If you are into faux meat, then be sure to add Bee Vegan to your list of restaurants to visit in the city. The options are simply endless, so we also rounded up a list of the best vegetarian-friendly restaurants in the city. Check it out! Are you hungover? Do you love breakfast food? 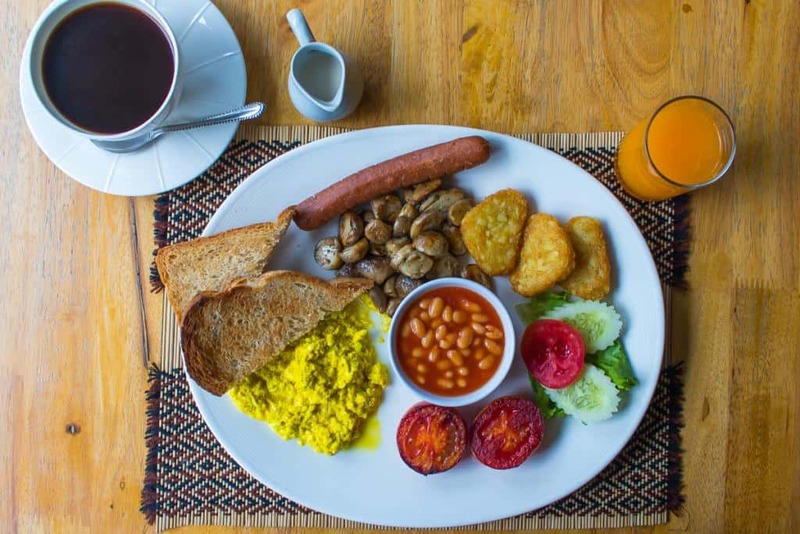 Then you will be pleasantly surprised by the number of early morning eateries that are perfect for restaurants to visit for breakfast or brunch. Hair the dog at Chiang Mai Breakfast World or instead enjoy the garden-inspired decor at Fern Forest Cafe while eating your favorite meal of the day. There are even venues serving up vegan brunch if you can believe it, complete with faux sausage and eggs. For more information on our favorite restaurants, check out our complete round-up of where to get brunch and breakfast in Chiang Mai. Whether you are in town for a week or a month, you could frequent a new dessert cafe every day of the week in this Northern Thai city. Thais love sweets, and many of businesses found around the city took advantage of this … and we aren’t complaining! If you love fresh coconuts, then head to Coco Corner, a cafe serving up desserts featuring this savory, fresh fruit in each dish. Artistic dessert lovers will instead want to check out Woo Cafe Art Gallery, a cafe serving up delicious desserts that also doubles as a gallery! 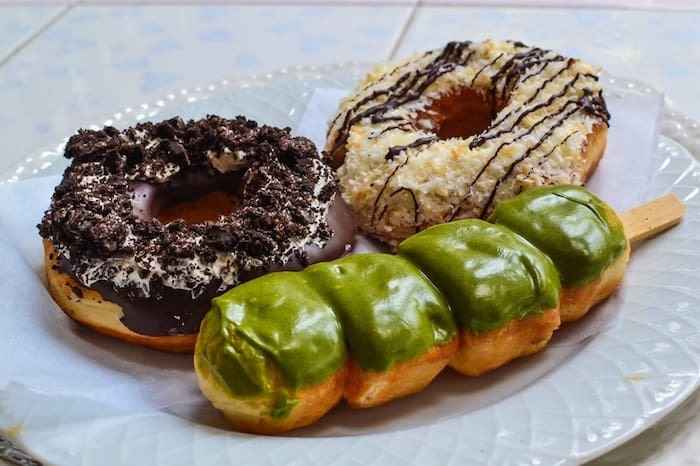 For more information about the best dessert cafes in Chiang Mai that you need to visit, check out our complete round-up of our favorite eateries. 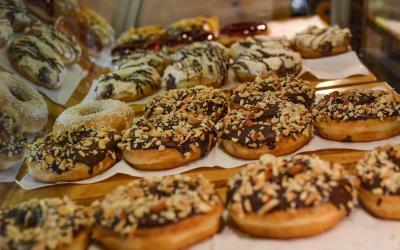 If the dessert cafes above have got your mouth watering but you abide by a vegan diet, fret not, as there are plenty of other eateries that serve up tasty treats that are free of any added animal products! Mild Kitchen, for example, is overflowing with vegan cookies. If you would rather something chilly to beat the heat, instead opt for the coconut ice cream at Rustic & Blue. Shamelessly indulge in the desserts at Pure Vegan Heaven, including their raw chocolate avocado pot de creme. 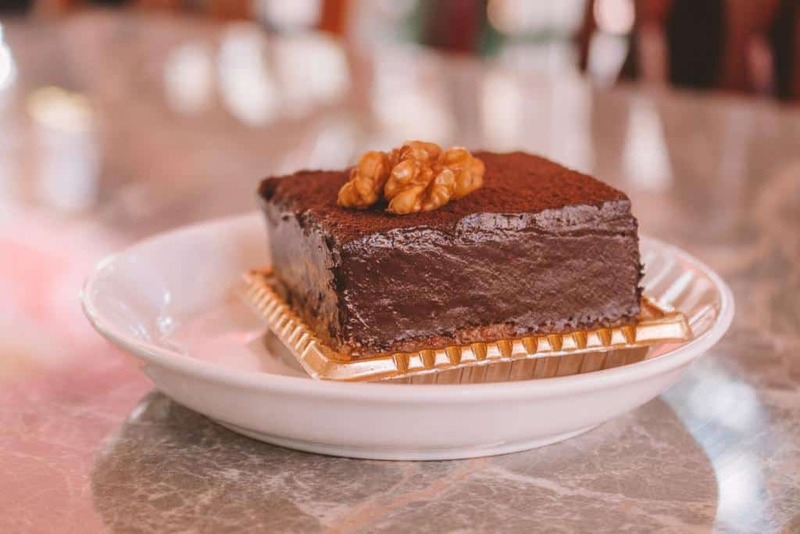 If you have built up an appetite and are wanting even more information on where to get the best vegan desserts, check out our favorite venues, here. Backpackers looking to get their drink on will be pleasantly surprised with the number of bars, clubs, pubs, and live music venues in Chiang Mai. Zoe in Yellow is certainly the most popular of them all. This district is home to almost ten different types of bars, with everything from reggae to hip-hop venues within but a few seconds walk from each other. This is the place to be in Chiang Mai until about midnight, and then most backpacker’s head to Spicy. This club stays open until about 2 a.m. and is great for those wanting to bump and grind to popular jams. If this isn’t your scene, instead check out The North Gate Jazz Co-Op for some hip-moving tunes by live jazz bands. For more information on Chiang Mai nightlife, where the best bars are located, and more, check out our complete nightlife guide. Did you love this comprehensive article? Do you want even more information about this incredible, Northern Thai city? Then be sure to check out these other articles that we have rounded up telling you where to go, what to eat, where to workout, and more. Happy traveling!